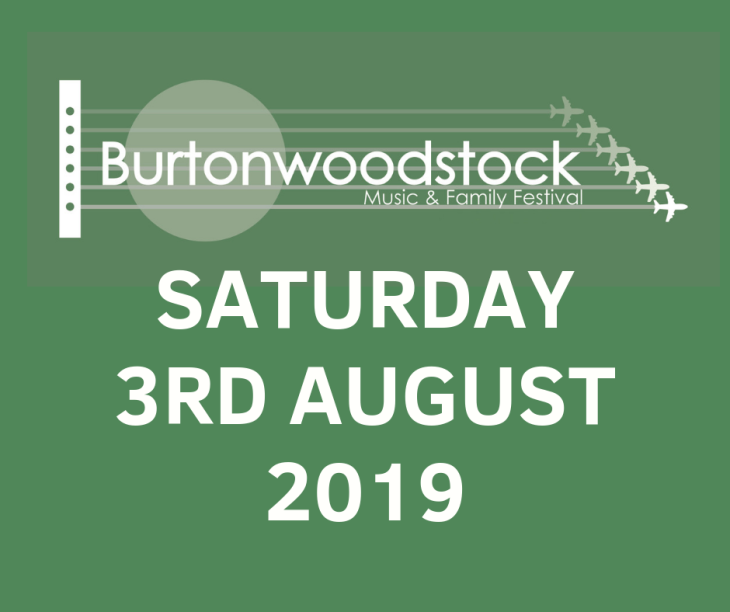 BURTONWOODSTOCK MUSIC & FAMILY FESTIVAL - SATURDAY 3RD AUGUST!!! We're delighted to announce that 'Burtonwoodstock Music & Family Festival' will take place on Saturday 3rd August 2019. We're also extremely delighted to announce that our line up will include Amazing Kappa Band, The Patriots, The Rics & The Bowie Room! Our aim is to again bring brilliant bands and acoustic musicians to Burtonwood Warrington, for a festival everyone young and old can enjoy and be proud to be part of. Again this will be a FREE ENTRY child friendly music festival! Further acts and details to be announced in due course. So save the date and make sure you join us for what's sure to be another brilliant day and night of live music!